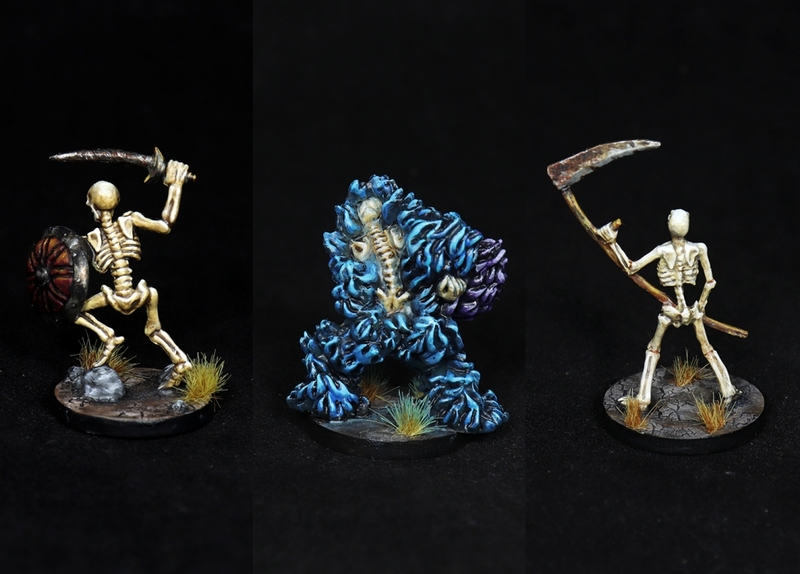 Speed Painting – DnD Skeleton Miniatures, 1,5 hour per mini approx. 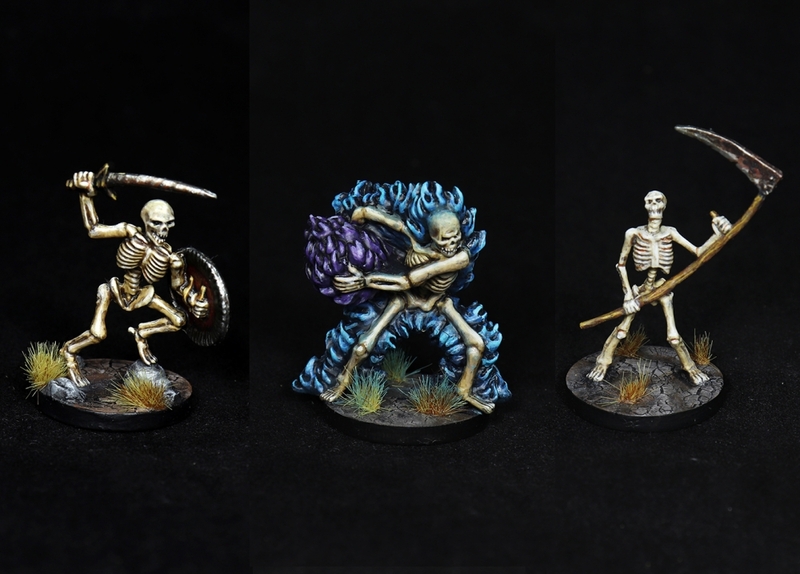 There are three different models: Blazing Skeleton, Skeleton with Scythe and Skeleton with Scimitar and Shield. I like the blazing one the most. These minis are perfect to complete your undead army commanded by a vampire, lich or some another bad guy. Or could it be that you prefer to ambush your players in the cemetery with these skeletons? Do you like this paintjob? Comment and follow me on Facebook or Instagram! Visit Our Miniature Store! Would you like to request a custom order / commission? Contact me! Para enviar un comentario usted debe aceptar nuestra política de privacidad | Responsable de los datos: Dmytro Mázur | Finalidad: Gestión y moderación de comentarios | Legitimación: Su consentimiento expreso | Destinatario: WordPress | Derechos: Usted tiene derecho al acceso, rectificación, supresión, limitación, portabilidad y olvido de sus datos. Información adicional: Usted puede consultar la información adicional sobre protección de datos personales en mi Política de Privacidad.